Do you have a wedding or anniversary coming up and are searching for the perfect ring? Do you have a unique style and can’t seem to find exactly what you are looking for? Do you have a family heirloom you would love to have updated to a modern style? If so, custom jewelry design may be the answer and the custom jewelry design process at Allen’s Jewelers is easier than you may think! Traditional or Contemporary? Classic or Modern? Intricate or Simple? Discovery is the first step of the custom jewelry design process at Allen’s Jewelers. Together with our Master Jeweler, you will review a variety of designs and styles to determine what you like as well as what fits your lifestyle. Platinum or Gold? Allen’s Jewelers offers a variety of materials from gold, to platinum, from diamond and colored gem accent stones to pearls. You will learn the pros and cons of the materials then choose the best options for you and your dream design. Not only will your tastes, desires, and lifestyle be considered, but also your budget. Custom jewelry design doesn’t have to be expensive! Need some ideas? Watch our YouTube video about the popular trends in custom jewelry design! Sketches bring your custom design ideas to life. Sketches bring your ideas to life! The next part of the custom jewelry process begins with our Master Jeweler creating preliminary sketches of your custom jewelry piece. It is so exciting to see your ideas start to become a reality when they are brought to life by our talented designers. 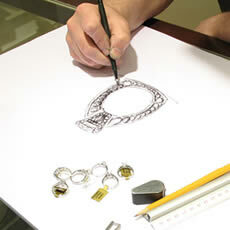 Once ready, you will review the sketches together with our Master Jeweler for revisions or alterations. We can fine tune the preliminary designs to meet or exceed your expectations and vision. 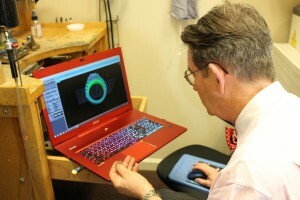 Computer Aided Design or CAD. 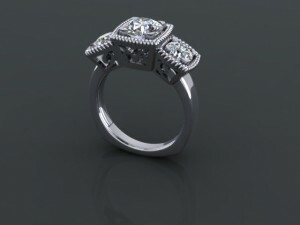 When you reach a design that you are happy with, our Master Jeweler will create a CAD picture for you to inspect and review for approval or for changes. This helpful tool gives you a better idea of how your final piece will appear. A Computer Aided Design will show you the intricate details of your design. A unique design is created just for you! 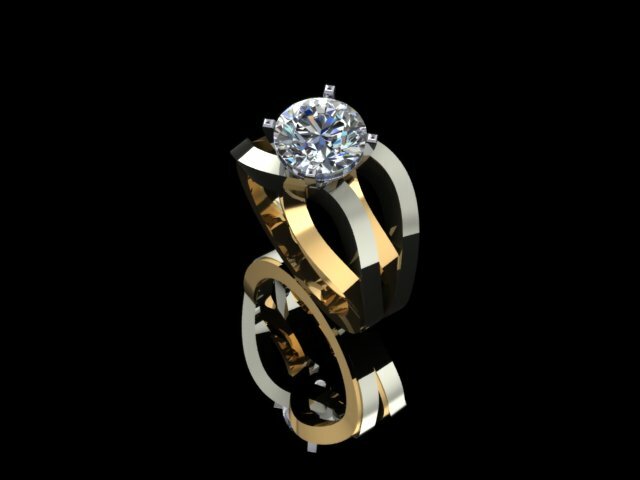 Once your CAD picture is approved, we will get to work crafting your jewelry piece. First the CAD file goes to the casting house where the rough casting is made of your custom design piece. Next it returns back into the hands of our Master Jeweler, where he does the finishing work, such as setting the stones and polishing the metal. Keep in mind custom design takes time, so give yourself about 4 to 6 weeks for custom design. Of course, if you’re on a deadline, we may be able to get a design done faster than that. Please call us to inquire about time frames of short notice. 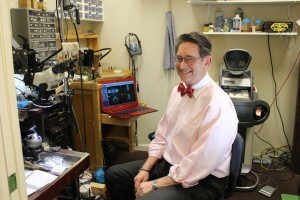 Let our Master Jeweler and Owner Dennis Marshall design the jewelry piece of your dreams. 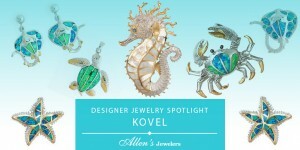 Ready to get started on creating your one of a kind jewelry piece? Use the Custom Jewelry Design Planner to get started!